The 18-hole "Balboa" course at the Balboa Golf Course facility in Hot Springs Village, Arkansas features 6,725 yards of golf from the longest tees for a par of 72. 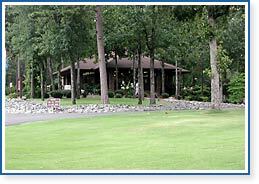 The Coronado Golf course was built in 1979 and was named 6th best in Arkansas in 1999 by Golf Digest. There are many great restaurants to choose from in Garland County. They have a wide variety of flavors to appease everyones tastebuds. Click on the link below to see a list of restaurants in the area.